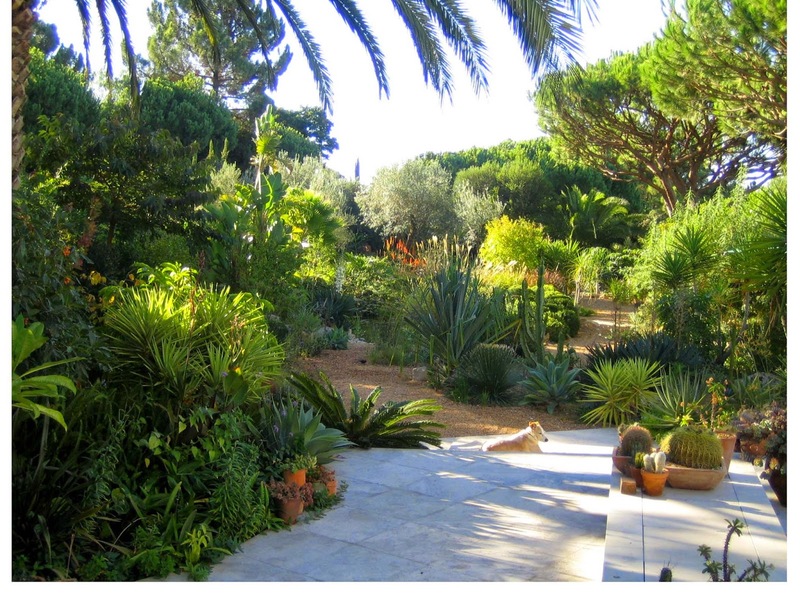 We have had three gardens in the Algarve. The first in Vale Judeu was a small courtyard garden; very pretty but no space for a lawn. Looking for more space we bought an old farmhouse in Vale de Èguas with 3,500 M2 of land. We started off by making a simple garden around the house and leaving the rest 'wild'. It looked wonderful in the spring but not so wonderful the rest of the year so we finally made a garden of the whole lot with three areas of roughly equal size; a pond, gravel areas and finally a lawn. We had found a mature mulberry tree which we put in the lawn with the idea of sitting under it on a summer’s afternoon except the the chairs we put there got wet with the irrigation....and had to be moved every time the grass was cut. We discovered that of the three areas the lawn was the most trouble. It took 15 minutes per day water whilst the pond took that a week. It required cutting and it was difficult to keep in good condition whereas the gravel beds with their mixed planting were far easier to deal with. In 2005 we were building a new house and a new garden. 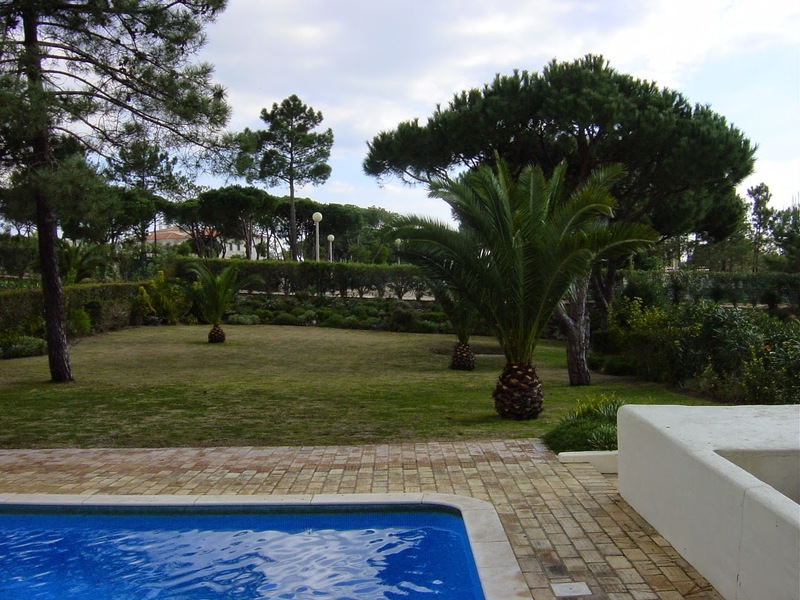 The existing garden was neglected with a poor lawn, a couple of pine trees and five young Phoenix Canariensis which unfortunately we decided to keep. I knew that I did not want a lawn. 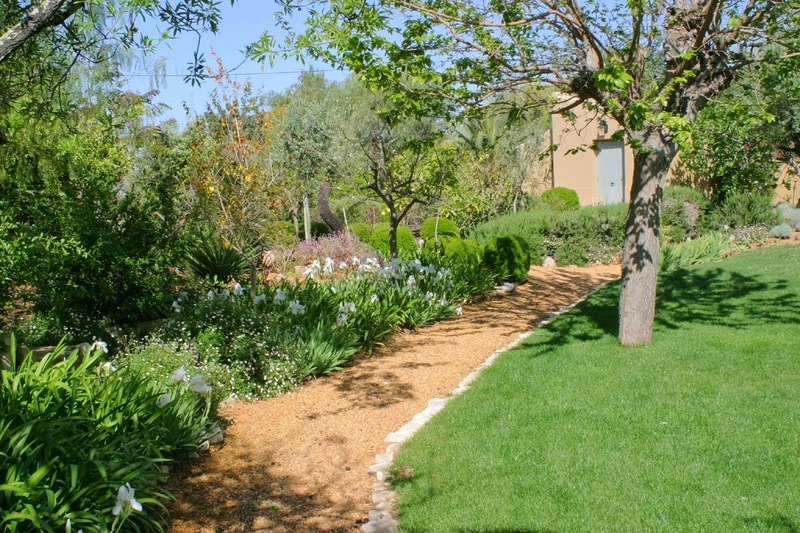 I wanted to keep the best of my previous garden; the gravelled areas and the pond. (My husband needed some persuading about the pond as the noise of frogs had been truly deafening at night). We also wanted somewhere to sit in the shade and a garden that we could walk around, through different areas. So, we made a ‘mediterranean’ area with olive trees, cistus, rosemary and myrtle, a more tropical area around the pond with palms, banana trees and strelitzias, an area for various fruit trees and dry areas with succulents but all linked by using gravel throughout. Before; the existing garden with a struggling lawn..
My garden is not labour-free (Marco Dias, my very enthusiastic gardener comes once a week for two hours) but, unlike a lawn in the growing season, it can be left for a few weeks without looking neglected. Al-in-all we are very happy in our life without a lawn!